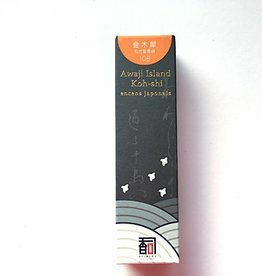 De wierookhouder van Awaji koshi zijn speciaal ontworpen zodat er twee soorten maten wierook in passen. Zowel dunne als dikkere wierook stokjes. 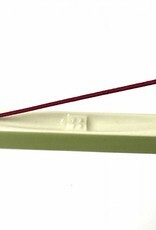 This is a very practical and sturdy incense holder. It collects almost all the fallen ashes neatly inside it. 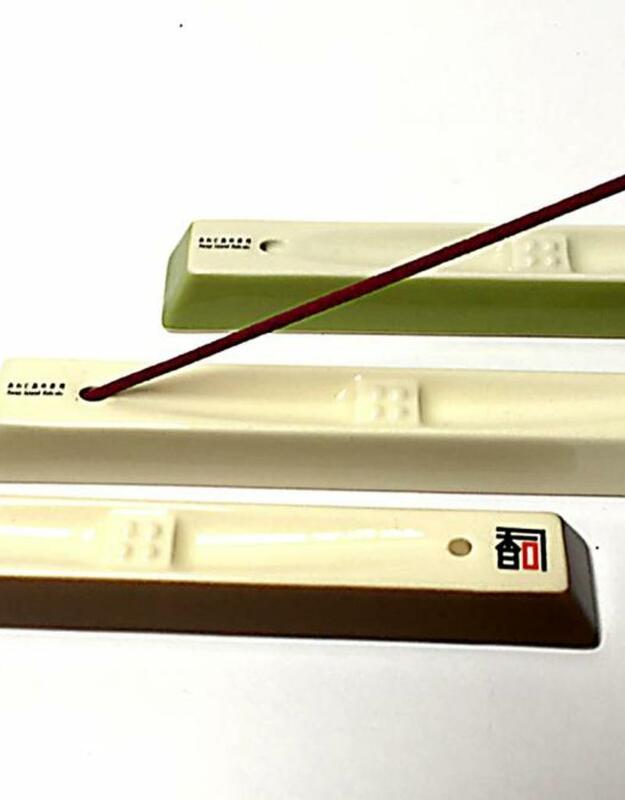 This is always a disturbing issue for me as far as Japanese incense holders are concerned. Nevertheless, some bits of the ashes occasionally fall out of the ash-collecting area (hence the four stars!). This is simply due to the fact that the this area needs to be more wider than it is now. 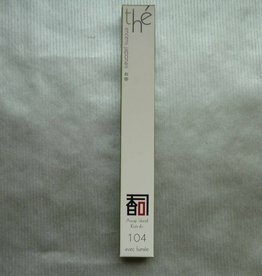 The current width is 1.5 cm. In fact, a widening of 1 cm on each side, i.e. 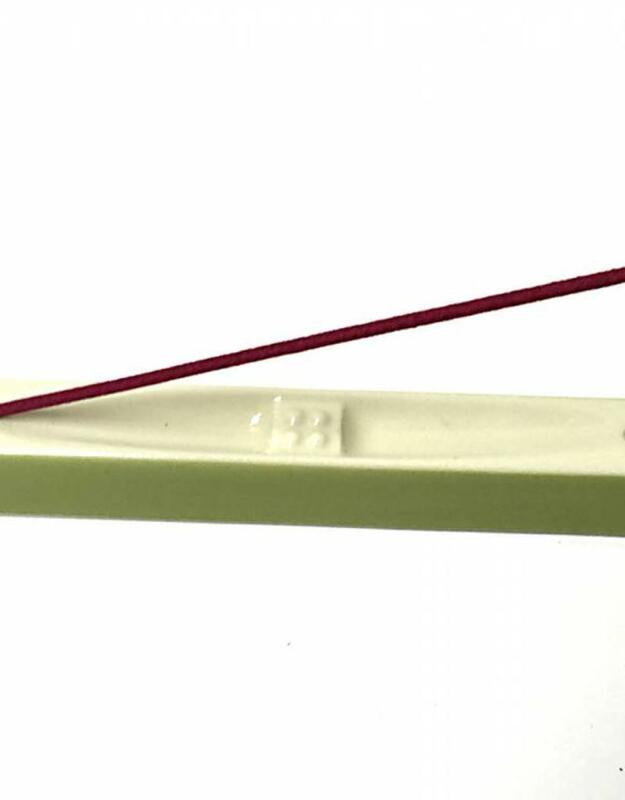 a total width of 3.5 cm, is needed for this incense to completely solve this problem. 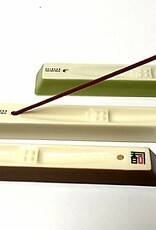 The good news is that this holder can also be used with most of other Japanese incense, not only the Koh-shi. 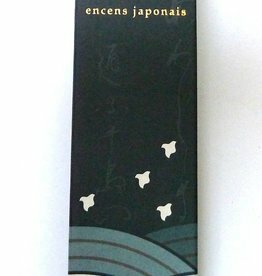 I have been trying it with all other Japanese incense I have, and it proved to be very suitable for all of them. In addition, the fact that it is compact and in comes in one good piece of porcelain makes it an attractive option. 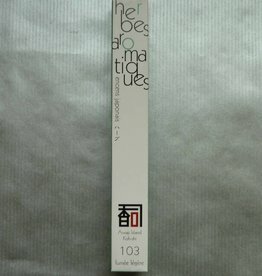 I will certainly recommend this nice incense holder for the fans of the fine Japanese incense.